In this article, we'll introduce the best digital image recovery software to help you recover deleted or lost photos from computer, digital camera, memory card etc. How can I get back my deleted images? - a question from Quora. Photo shooting has become the most common way for keeping memories. photos/images saved on computer hard disk, digital camera, memory card or USB drive always remind you a lot in later days, and become a treasure of happiness. But what if you find the digital images nowhere one day? When it happens, you might eagerly ask a question like the Quora user: "How can I recover my deleted photos?". The answer is: you should get a powerful digital image recovery program to help you get all deleted or lost photos back. But remember that you should stop using your device and do not save any new data on it. If you continue saving new photos in the folder or hard drive, the lost images will be overwritten and it becomes very difficult to recover your images back. To recover lost photos, the easiest and safest is to utilize a piece of reliable and trustworthy digital image recovery software. However, a mountain of picture recovery apps are churned out in the Internet. It becomes very hard for the uninitiated to pick up a really reliable one, and even some unqualified can further damage your lost images as well as result in more data loss. To make sure the chance of digital image recovery and the security of the lost photos, we recommend the absolutely reliable and powerful image recovery tool for you on the following guide. Recoverit Data Recovery can easily and effectively help you recover deleted or lost photos back. Featuring a 96% data recovery rate, the digital image recovery software is able to recover more than 550 formats of files back from everywhre, including digital images, videos, audio files, documents, emails and many more media files. 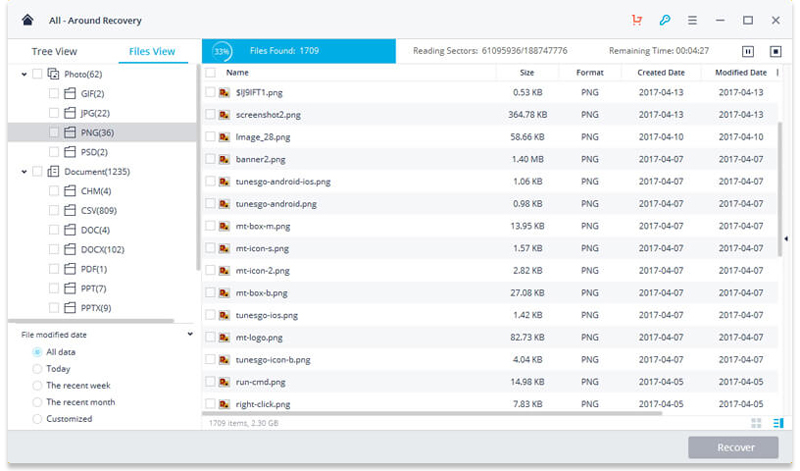 It applies the advanced scanning and searching algorithm to deep scan your data storage devices so that almost all deleted or lost images can be recovered no matter how they get lost. Recover deleted images from computer hard drive, memory card, digital camera and USB drive effectively, safely and completely. Restore images due to accidental deletion or loss, formatted, lost partition, virus attacked and system crashed. Supported OS: Windows 10/8/7/XP/Vista, Mac OS 10.13, macOS 10.12, OS X 10.11, 10.10, 10.9, 10.8, 10.7, 10.6. Recoverit supports to restore image from everywhere. 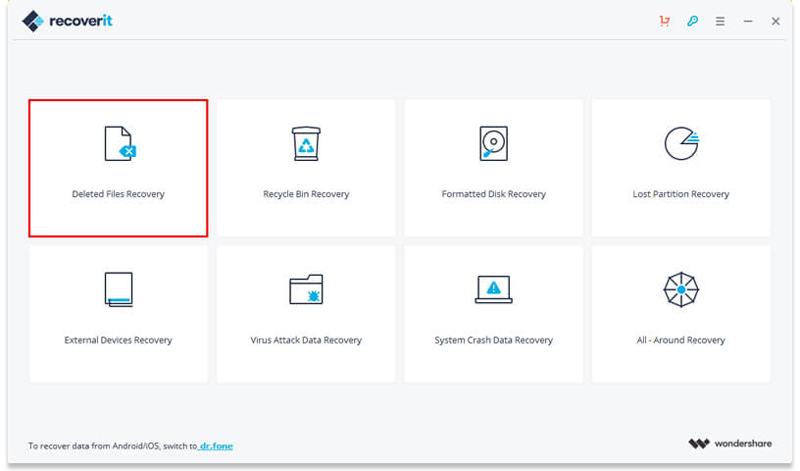 It is a snap to recover deleted or lost images if you use Recoverit Data Recovery. Getting the detailed steps, refer to the below video tutorial or text guide. The video tutorial demonstrates how to get back deleted, lost or corrupted images with the digital picture recovery APP. Watch it and get the complete solution. Here let's Download and Install Windows version of Recoverit Data Recovery software on your computer (Mac users can turn to try Recoverit Data Recovery for Mac). With the image recovery software, you can perform image files recovery with comsummate ease and without any hassle. Launch the image recovery app firstly. To get lost images, please select "Deleted Files Recovery" data recovery mode. If your lost photos were stored in an external device, please select "External Devices Recovery" mode and connect your device to the computer. 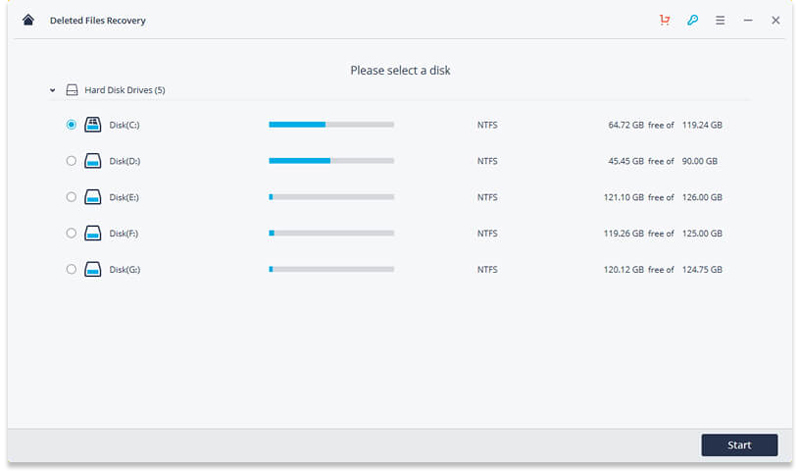 Please select a hard disk where your digital images were stored originally. Click the "Start" button to process. 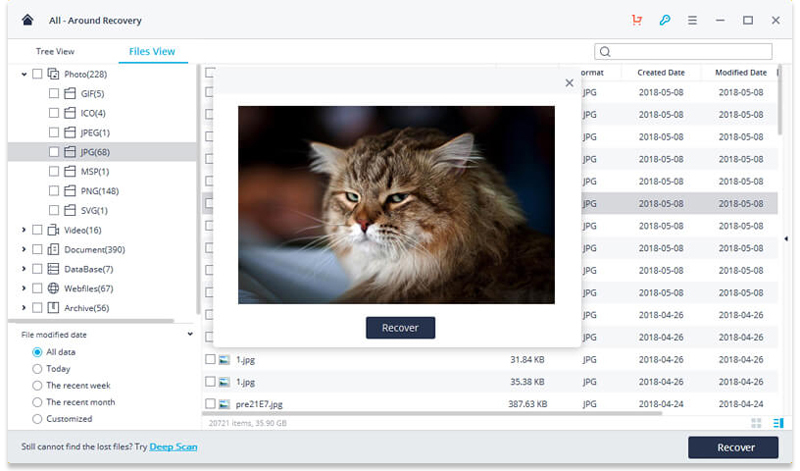 The image recovery tool will start scanning your computer hard drive to search lost photos. After the first scan, you can check and preview some recoverable photos. If you cannot find your images, you can go to scan again with "All-around Recovery" mode. Go to scan with "All-around Recovery" mode. It will deep scan your computer hard disk and search more files, while more time is needed. After the scan, you can check all recoveralble digital images on the results. 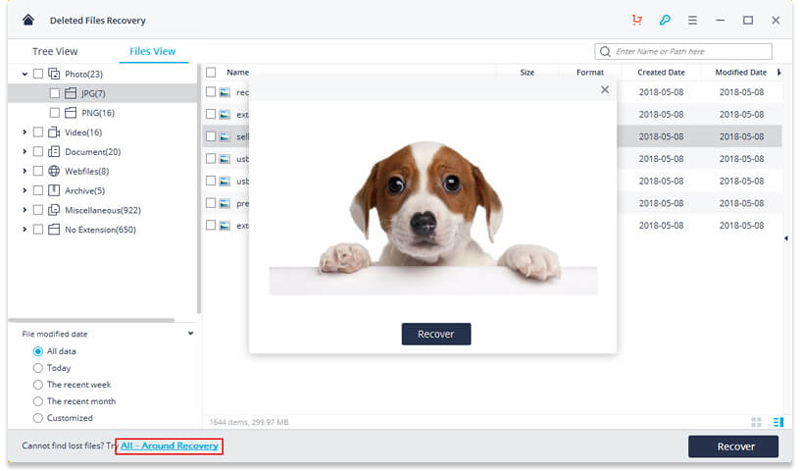 Go to preview your recovered images and click "Recover" to restore lost images. Note: Please get a safe device to keep your recovered photos to avoid data loss again. Following the above simple steps, you can get your lost images easily with Recoverit Data Recovery. A digital image can also be called digital photo or digital photography. So what is its definition? To put it simply, a digital image means the picture that can be stored, viewed and shared on a digital computer. It is a numeric representation of a real image, typically binary. To keep the digital image stored on the computer or other storage mdeia, it should be translated into numbers. For the purpose of the translation, he picture element of a digital image is needed, that is pixels. Usually, pixels are organized in an ordered matrix array - M columns x N rows (column is the image width and row is the image height). When we save a digital photo, the aspect ratio of its pixels is set. But the digital image can also be resized by using some photo editing software to change the ratio. Another important characteristic of digital images is that the image file formats can vary based on different image file extensions, for example, JPEG, JPG, PNG, TIFF, GIF, PSD, DSN, CR2, BMP, etc. 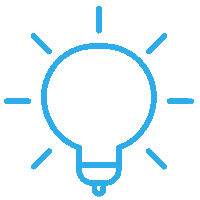 GIF, short for Graphic Interchange Format, is a dynamic image. JPEG, on the behalf of Joint Photographic Experts Group, is one of the most common type of digital image and can be used in most of situations. PNG stands for Portable Network Graphics and has many same features as JPEG or JPG. To learn more about image formats, check out the page: Common Image File Formats and Their Differences. Unlike traditional pictures, digital images can be uploaded, transferred or shared instantaneously via different channels all around the world. We can save them forever without worrying about the wear and tear and transform temporary wonderful memories in our minds to permanent ones. Moreover, it can still be printed at any time via a printer. The major downside is that it is also likely to lose the digital photos due to a variety of causes. To restore lost images, we recommend you using a reliable image recovery tool. Your digital images might get lost mainly because of accidental deletion. If you delete them by mistake from the computer, it is possible to recover deleted photos from the Recycle Bin. However, if the bin is emptied or click "Shift+DEL", what you can do is only resorting to a picture recovery app. The digital photography storage devices can be a computer, external hard drive, digital camera, memory card, etc. All of them can get corrupted due to many logical or physical factors, such as system crash, head crash, water, bad sectors and many more. Oftentimes, when image file storage get crashed, formatting can help solve the issue. The bad news is that the formatting can result in data loss. Of course, deleted or lost digital images can also caused by careless formatting. A memory card is vulnerable to many issues after improper operations, and the inaccessibility of stored photos ensues. The improper operations include using it in many different devices and inserting or removing it rudely from computer. If the image files are transferred incompletely, they are doomed to loss. Besides, if the file system errors arise, the image files stored in the system also get lost. No matter which data loss situation you meet, you can always trust powerful Recoverit Data Recovery for photo recovery. It will keep your computer system safe and private. Free download it as below and try it for free.